We look at the sea wondering what splendours lay beneath the shiny surface. 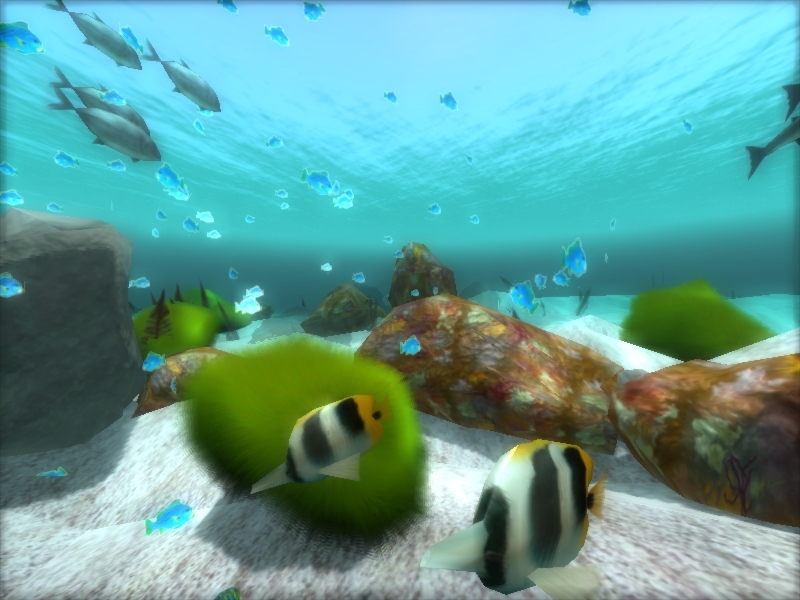 This demo tries to evoke the sea in all its aspects, from the vivid reefs to the murky depths. The graphics effects are written in the High Level Shader Language (HLSL) and Pixel Shaders 2.0. 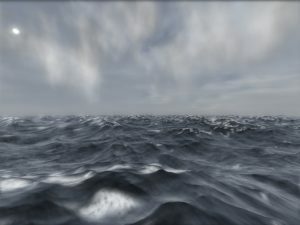 They include real time reflections, bump and shadow mapping, light blooms, fur, … Furthermore, procedural animation techniques are used to create ocean waves and fish schools. A backwards compatible version with 1.x pixel shaders is supported on older hardware. This tech demo, submitted to the rendering track of the Imagine Cup 2004 contest, was developed in the context of the Master’s Thesis of Charles-Frederik Hollemeersch at Ghent University(Belgium), under the supervison of Wesley De Neve and Rik Van de Walle. Our team reached third place during the world wide finals held in Brazil (Some pictures of us are in the gallery on this site). See below for some links, press coverage and screenshots. Charles and wesley also did some radio interviews, but we don’t know of any direct links to them.